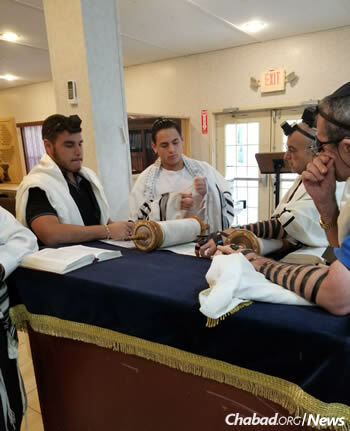 Rabbi Mendy Gutnik, left, and Rabbi Shuey Biston pray with family and friends of those who were killed in a high school shooting that left 17 dead. 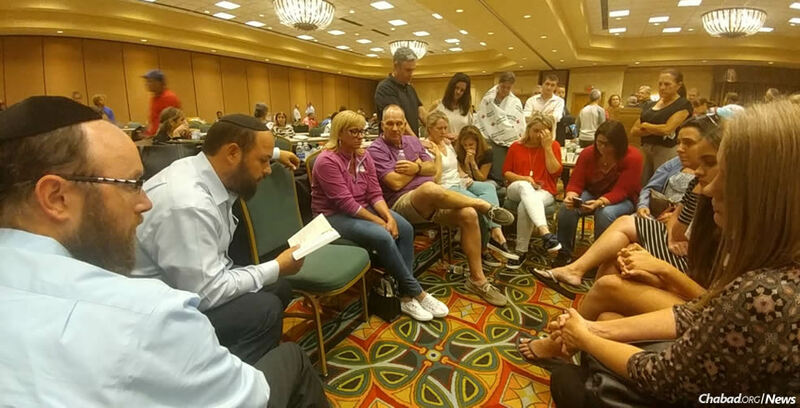 Even after the bullets stopped—and the students and adults who were murdered were identified—Chabad rabbis in Parkland, Fla., say the tragedy in their community is just beginning to unfold. Of the 17 confirmed deaths, the rabbis believe that at least six were Jewish, including an adult security guard. Several of those killed were participants at the Chabad centers in Parkland or nearby Coral Springs. Biston says that Chabad rabbis have been working closely with Broward County Sheriff Scott Israel, who is a congregant at Chabad, to ensure that the bodies of the Jewish dead are released for burial as soon as possible in accordance with Jewish tradition. Chabad has also enlisted the help of several therapists who have volunteered to counsel students. Observant Jews, they are uniquely positioned to provide both clinical and religious support. Cousins Daniel Zaphrany, left, and David Zaphrany, say the traditional prayer for thanksgiving after surviving the shooting. Tonight at 6 p.m., the Jewish community will join together for an evening of prayers and words of support. 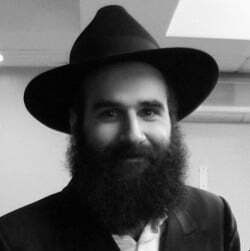 The gathering is a concerted effort of a number of area Chabad centers. May Hashem guide our family through this tragedy, pull us all closer together, strengthened in our resolve to reach salvation and peace. May the Eternal give peace and strength to the families of the victims, both Jewish and non-Jewish. The day will come, as the prophets saw, when no one will train with weapons of war but these weapons will be exchanged for tools that will be used to do good instead of evil. May this day come soon. May we all become instruments of peace, justice, love and mercy. I pray that within these tragic circumstances we all can have a peaceful Shabbath. May Hashem Bless each of those who who lost a loved one in the Parkland tragedy. Our blessings are our enduring memory through which will always be with us. Dear L-RD grant each Parkland family comfort, strength, and consolation.